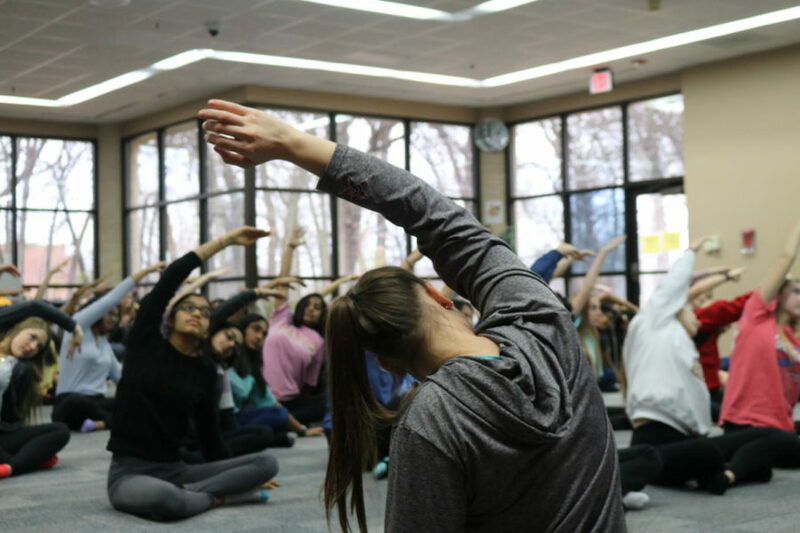 During sixth period on Thursday, Coppell High School psychology students do yoga to enhance their understanding of their Overall Development unit in the library. The yoga is conducted by Kristia Leyendecker and Eric Walker. Students in all psychology classes walked into the library today to get ready for yoga for their current unit labeled Overall Development. 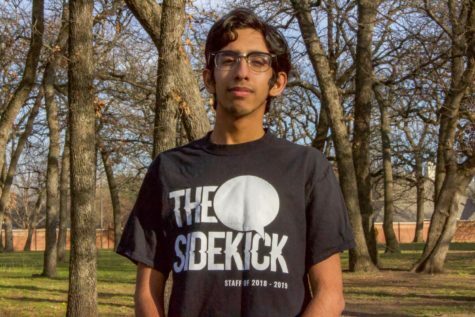 The activity, which has been going on for four years now, has been a great way for the teachers to show students how to relieve stress. This year marked the first time the on level psychology classes were introduced to the activity. The library was a serene area, where students watched a video that outlined the basic steps on how to preform yoga. Although students were able to learn some of the many yoga positions, they did struggle on some of the harder ones, that took more experience.